Underride truck accidents are some of the most dangerous types of auto accidents. They occur when a passenger vehicle collides with the rear or side of a truck and slides underneath the body of the trailer. Typically, these accidents cause serious injuries, ranging from head trauma and brain injuries to paralysis and death. If you or someone you love suffered an injury and you believe the other party might be at fault, contact the experienced underride truck accident lawyers at Gary A. Zucker & Associates in Brooklyn, NY. We will evaluate your case and help you secure fair compensation. Semi-trailers and other large trucks have a high clearance underneath their carriages. This can pose a serious hazard in an accident with a smaller vehicle, such as a car. The smaller vehicle can slide underneath the large truck, crushing the top of the vehicle. Government statistics show that more than 200 people a year are killed in these accidents. Those that survive are often saddled with lengthy and life-altering injuries, such as traumatic brain injuries (TBI), bone fractures, amputations, and lacerations. 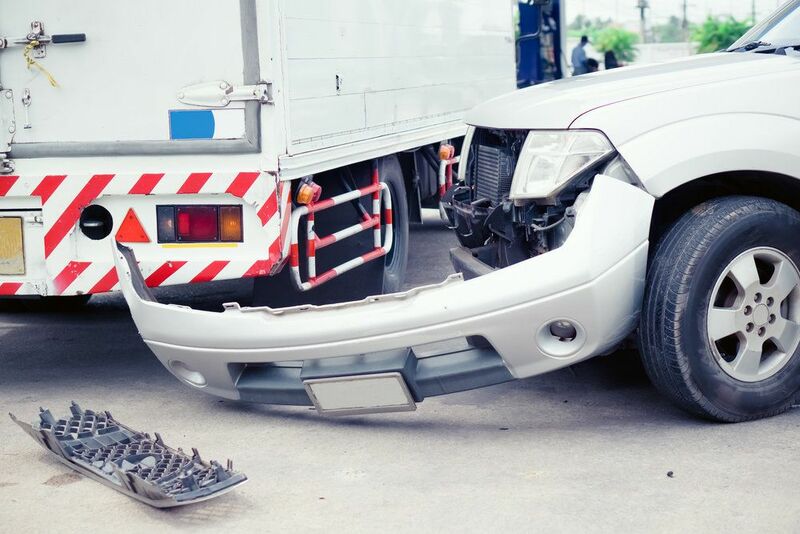 When a passenger vehicle makes contact with the undercarriage of a tractor-trailer or semi-truck, the passenger compartment can tear off or become crushed. What causes these accidents? All trailers and trucks manufactured after 1998 must be equipped with rear impact guards that meet Federal Motor Carrier Safety Administration (FMCSA) standards. Further, FMSCA requires trailers to have reflective tape or reflectors that are visible to the driver. Should drivers or truck companies fail to meet any of these safety measures, they can be held responsible for any resulting damages. To ensure that you receive the compensation you are entitled to, it is important to call on the attorneys at Gary A. Zucker & Associates. We have the know-how to identify the responsible party and help you obtain compensation to cover your medical expenses, lost wages, and pain and suffering. Underride truck accidents can result in life-changing injuries, and you deserve compensation to help pay for medical care and other expenses. Our team of highly-skilled attorneys can help you secure the compensation you deserve. Do not wait; call (718) 624-1211 or contact us today to schedule a consultation.